In Eastern European countries people exchange dyed and elaborately decorated eggs as tokens of affection to family and friend at Easter. An Easter Egg Decoration Workshop will take place in MIA on Friday 2nd April at 11 am. Participants will learn how to decorate Easter eggs using common traditional Russian and Polish techniques. The Russian process, facilitated by Natalia Pestova includes wrapping eggs with grains, leaves, flowers or other natural components and boiling them together with onion skins to make lovely patterns. 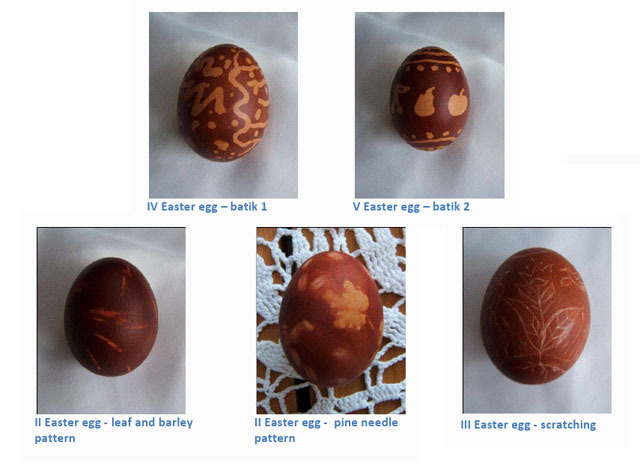 The Polish process, facilitated by Joanna Kuruc, involves scratching a design on an egg shell using a metal needle on eggs previously dyed with onion skins as well as batik and yarn wrapping. So, why join Joanna Kuruc and Natalia Pestova to learn more and decorate your own Easter egg! You can contact Lorraine in MIA at 094 905 4511 or miamayo@eircom.net to sign up for this free workshop. See attached brochure outlining the workshop schedule.